Pools are great for a dip on a hot day, but if you really want to get in touch with nature, freshwater springs are a great way to immerse yourself (literally) in the great outdoors. And there are fewer better places to do it than in Florida. Here are six fabulous springs for a refreshing swim in the Sunshine State. Situated in the middle of the Big Scrub Campground in the Ocala National Forest, the water of Silver Glen is a beautiful turquoise blue that you have to see to believe. Fortunately, both swimmers and snorkelers can enjoy the gorgeous, clean water of the spring bowl in the protected swimming area, which is not accessible to boats. Wakulla Springs, just south of Tallahassee, has bragging rights as home of the largest and deepest freshwater springs in the world. It’s also the habitat of a wide variety of animals, including alligators and manatees, that you can view from the safety of the diving platform (or a boat) when you’re ready to take a break from swimming. If you have to pick just one, this collection of artesian springs in Silver Springs State Park is a no-brainer. 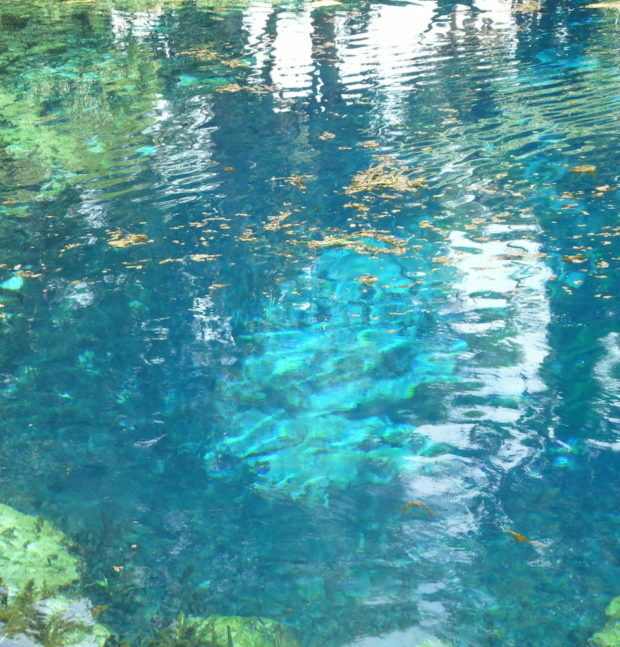 Silver Springs is known for its glass-bottom boat tours, which are among Florida’s oldest attractions and give visitors a unique and unparalleled view into the Silver River. The water temperature of these springs, in Rainbow Springs State Park, is an average of 72 degrees—not too shabby. The water ranges from five to 18 feet, so this swimming area is best for more experienced children and adults. However, there is a designated wading area for toddlers. Juniper Springs, also in Ocala National Forest, almost seems like a tropical retreat in the middle of the woodsy landscape. Besides swimming in the bubbling springs, there’s lots to do here: camping, snorkeling, canoeing, hiking, and more. We can’t guarantee that these springs will make you younger, but it’s worth a visit to try, especially since the water is perpetually 68 degrees. You can also take a walk along two trails through a hardwood forest and go fishing or birding.